You gotta hand it to whoever came up with this frightful creature - it is truly horrifying. The five foot tall Man Eater standing prop is covered with blood and busy tearing apart a severed hand which appears to have been bitten off a hapless human - that's nasty. 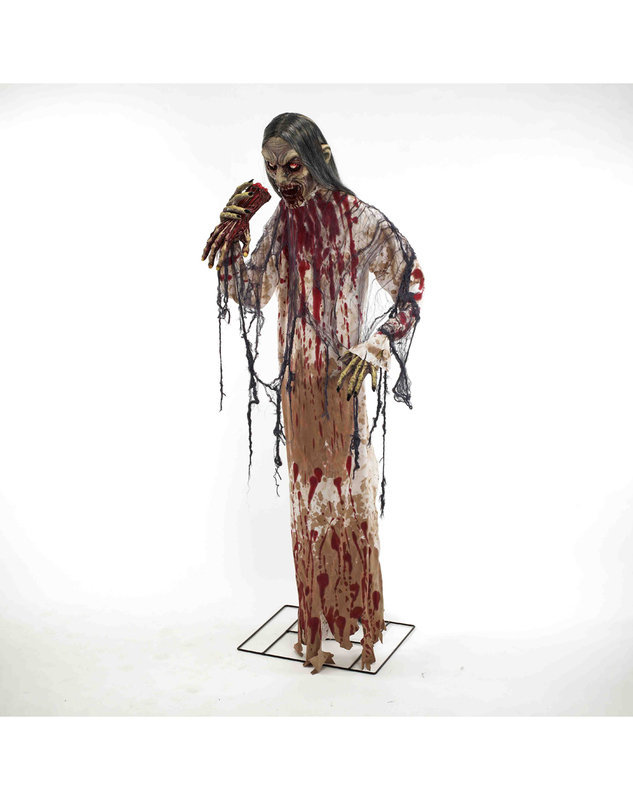 Get your very own Man Eater Standing Prop or view more Zombie Halloween Party Props & Decorations right now!